My first trip overseas was with Bryan in 2006. Both Bryan and I were single at the time and wanted to take a trip where we could drink, listen to music, party and at the same time enjoy a bit of culture. Bryan had read an article in a men’s magazine that listed some of the top travel spots for single men. Near the top of that list was Dublin, Ireland. So we got our passports, booked a flight and we were off to the Emerald Isle. The weeks leading up to the trip I had this image in my mind of what I thought Ireland would be. Once we landed in Dublin we made our way to our flat that we had rented in the Sandy Mount neighborhood of Dublin. As we made our way through the old cobblestone streets the image I had in my mind started to come alive. The quaint neighborhood market, bar and bakery were all that I thought they would be and more. Bryan and I spent a few days learning the DART system (Dublin Area Rapid Transit) so we could maneuver through the city. I was surprised to see that Dublin had DART considering the city where I live has DART (Dallas Area Rapid Transit). I was also shocked to see Burger King, McDonalds, KFC and Subway. I was pretty naive my first trip overseas. Every time I saw a major chain or retailer I would say “Hey we have that back home”. I’m sure it never got old! One day we decided to see what lay outside of Dublin and we decided to take the DART to the end of the line, which at the time was Howth, Ireland. Once we started to make our way around Howth the realization finally hit me that I was in Ireland. The day we made it to Howth the sky was grey and wet and the wind was blustery and cold. 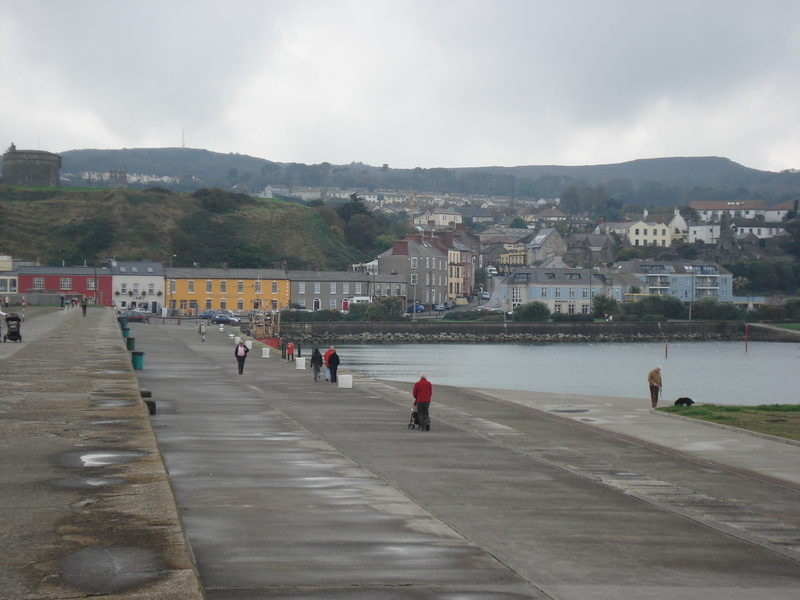 Howth is a quaint small seaside fishing village with lots of charm with great views and even better cliff trails. I would recommend walking out on the peninsula and enjoying the views of the architecture of all the homes and businesses built into the sides of the cliffs. 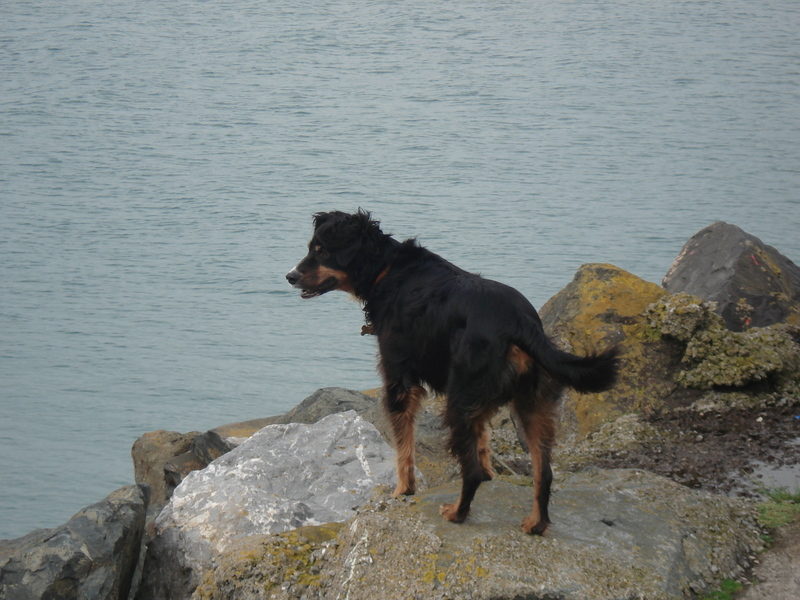 While out walking on the peninsula I made a special friend, I called him Sea Dog. He was a stray dog out wondering around and seemed to follow Bryan and me for a while as we explored the city. After exploring Howth for a day how do you cap it off? 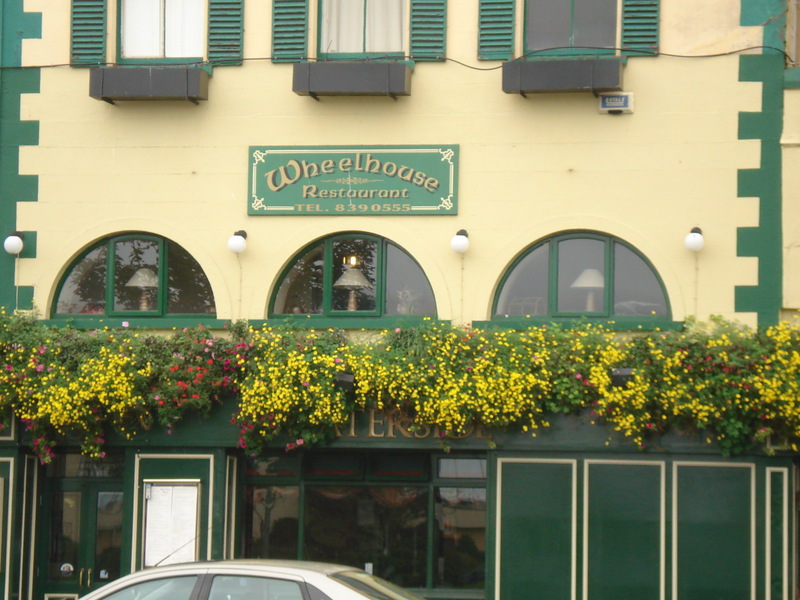 You cap it off with a drip to Waterside Bar and Wheelhouse Restaurant which sits right on the bay. The building that houses the restaurant was built in 1850 and there have not been a lot of upgrades to the building which I think adds to the charm. 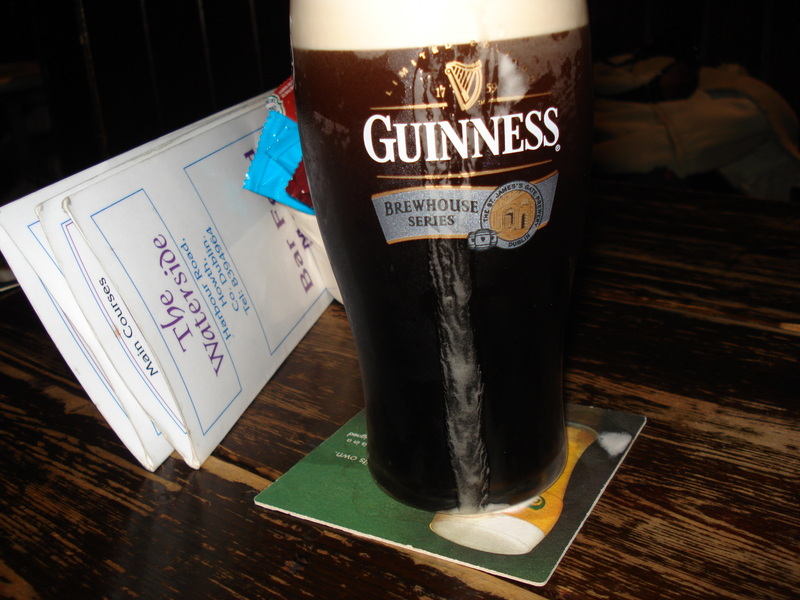 After walking most of the day I needed something to wet my whistle and nothing was better than nice pint of Guinness. Next to the Guinness I had at the St. James Gate Brewery, that was possibly the best Guinness I have ever had, and I have had a lot of Guinness in my day. 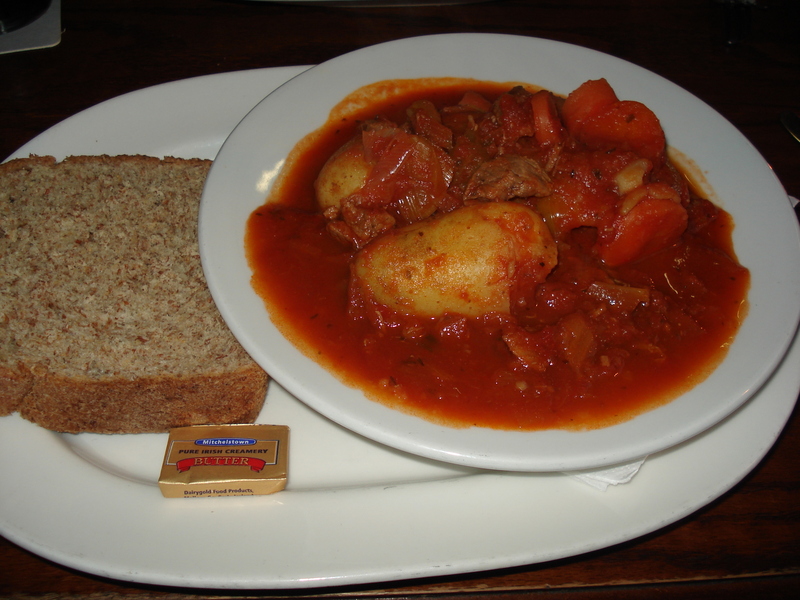 And what compliments a nice Guinness on a wet and windy day, why a bowl of Irish Stew of course. This was such a simple meal but possibly one of the best I have ever had! Howth was not in any of the literature that I had read of places to see or places of interest. There were no tours to take nor did souvenir shops line the streets. 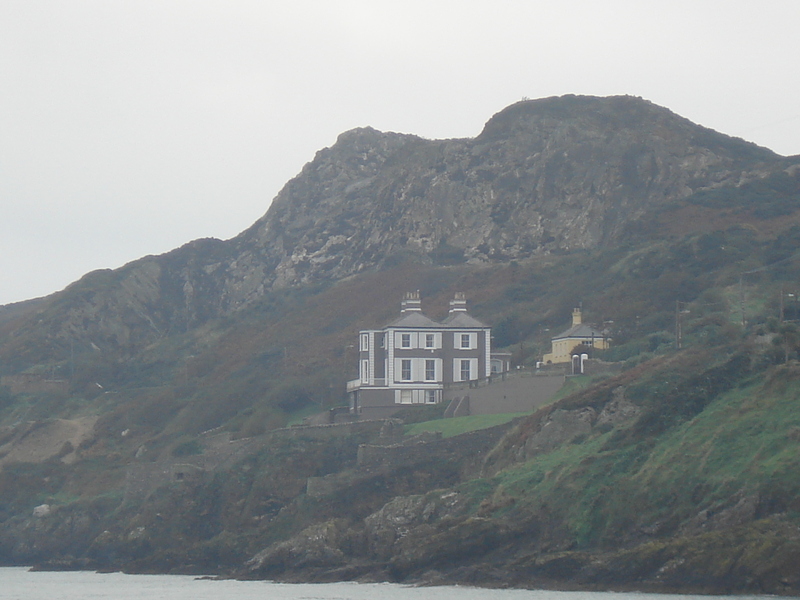 I enjoyed my time in Ireland, but I have to say the day I spent in Howth, is one of my fondest memories of traveling. So if you’re ever in Dublin, and you need a break from the hustle and bustle of the city, take a 20 minute train ride east toward the coast and hop off the beaten path and look up Sea Dog. Tell him that Shades sent you. Get to know Shades and catch up on past Happy Hours.